The sulky story of being in love with a witch. 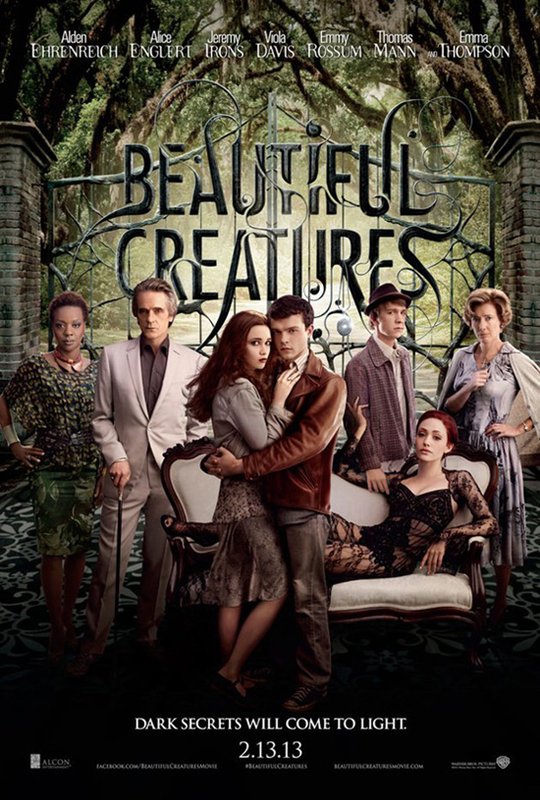 Beautiful Creatures is a teen romance with more brains than usual, but it’s still a soggy and mostly uneventful affair. I dunno, perhaps the young teen mallrat crowd more dedicated to the genre will get more into it. While I did appreciate the names-dropping of Anthony Burgess, Charles Bukowski, Harper Lee, Henry Miller, Ayn Rand and Kurt Vonnegut what we also have here is re-packaged gothic formula. 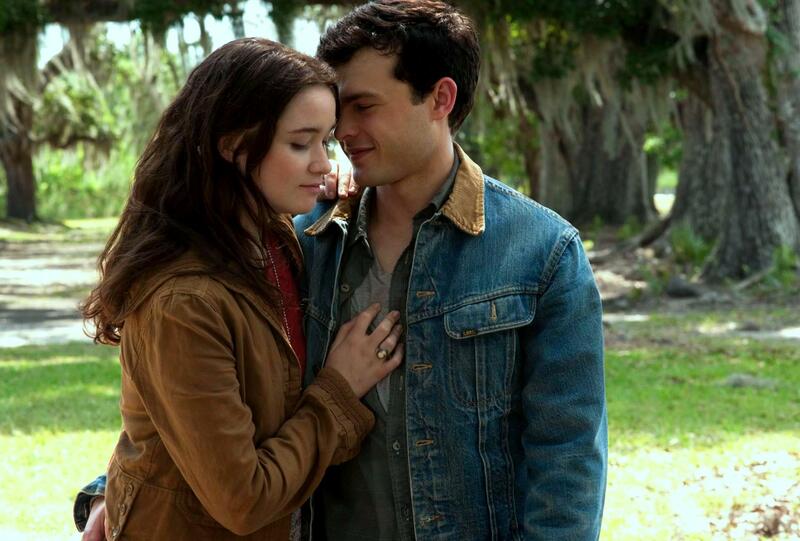 Replete with cheesy electrical storms, warped re-enactments of the Civil War, and set decoration ideas borrowed from “Beetlejuice.” Alden Ehrenreich and Alice Englert are nice kids, but they lack a dollop of charisma. Only the droll Jeremy Irons registers with some originality as a jaded witch, and Emma Thompson makes a preening effort. If only this movie had come out before the “Twilight” franchise, perhaps I would clapped up more amusement for myself. But this likely one-movie saga is based on “The Caster Chronicles” novels that originated in 2009, after the “Twilight” movie franchise had already kicked in. If you cut away the witches and wicca hullaballoo, what you have left anyway are about two romantic scenes in “Creatures.” Yes, two. High school boy Ethan (Ehrenreich, who?) is tired of the dingbat blondes he goes out with, so he falls for the mysterious Lena Duchannes (Englert) who has a countdown of days until… a magical new transformation into witch adulthood. A family curse will turn her into a dark witch – or something. Not well explained. There is no altering of destiny, Macon Ravenwood (Irons) attests. There is a possible altering of audience destiny: hey guys, stop going to witch, vampire and zombie movies, they’ll stop making ’em, and they’ll make something else different for a change. I was intermittently relieved by the literate characterizations by writer-director Richard LaGravenese (“Living Out Loud”), but still, this supernatural plot is a rather subdued, clichéd and derivative vision. And no, I didn’t believe the scene where the town’s kids attend the opening night of a “Final Destination” movie. Especially after all that talk of Vonnegut and Rand advocated by our hero Ethan, who is supposed to be above Hollywood bloodshed nonsense. Also with Viola Davis as a librarian and fortune teller (!) and Emmy Rossum (“Phantom of the Opera”) who plays a villain for the first time – a witch vixen. 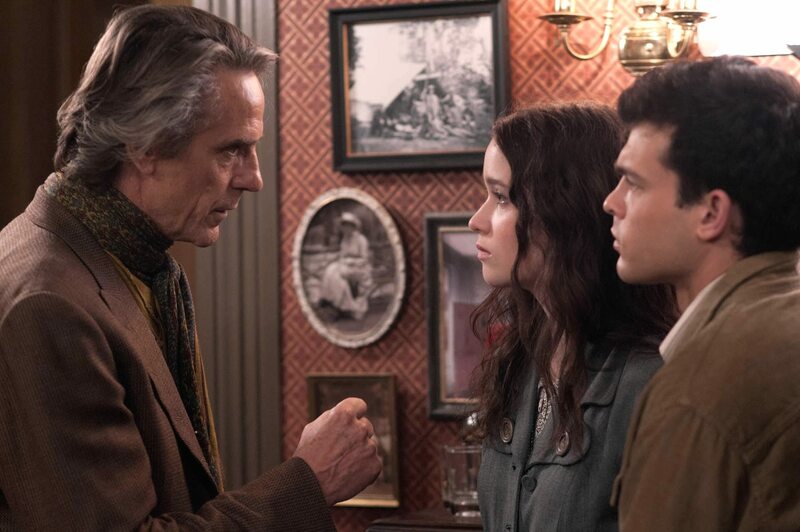 Who needs any of these characters anyway when you have Jeremy Irons? Film Cousins: “Romeo & Juliet” (1968); “Beetlejuice” (1988); “Practical Magic” (1998); “Twilight” (2008).